At least 15 people were killed and more than 40 people were injured on Monday when suicide bombers attacked an aid distribution point in northeast Nigeria, AFP reported. The attack is suspected to be the handiwork of Boko Haram insurgents. The rescue worker said both bombers were women but did not specify which NGO was distributing the aid. Babakura Kolo, from the Civilian Joint Task Force, a militia assisting the military with security against Boko Haram, confirmed the rescue worker’s account to AFP. Borno has seen repeated attacks by the jihadist group. On August 16, at least 28 people were killed and more than 80 injured when three women bombers detonated their explosives outside a camp for displaced people in Konduga. 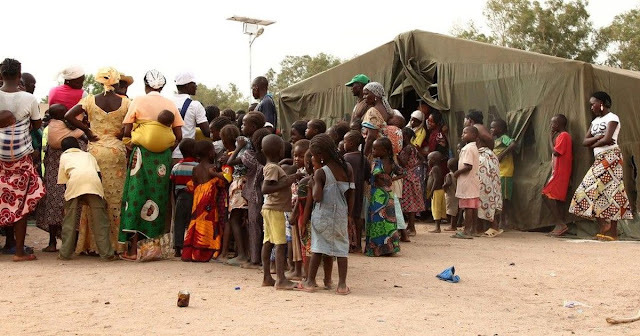 Northeast Nigeria is in the grip of a humanitarian crisis caused by the Boko Haram insurgency, which has left at least 20,000 people dead and displaced more than 2.6 million since 2009. Amnesty International says Boko Haram attacks since April have killed nearly 400 people in Nigeria and Cameroon.